Rushil Khosla of Noida has become Asia’s number one tennis player in Under-14. He achieved this by winning 24 out of 26 Asian matches of Asian Junior Tennis Tournament. Sector-30 Rushil has been the winner and runner-up in the last 10 international junior tennis championships. On March 31, he returned after performing well at the ATF Dubai Championships. Rusil is number one in the Under-14 Asia Tennis Rankings with 3097 points. On the other side, Korean player Chang Vahavuk is in control. He has got 2990 points. Apart from Rushil, there is no other Indian player in the top 10. Rushdie, the student of DPS became the runner-up of Asian doubles Under-14 tennis in January this year. Become the winner in the championship held in Karnal. In February, the singles and doubles made a splendid performance in the sections, winning the title. In addition to performing well in other international competition. The 12-year-old player is expected to perform in future in international competitions. Rushil has been learning the nuances of tennis for more than four years. Many of the tournaments have represented the Indian team. 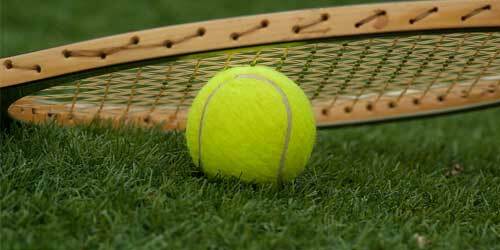 In the recently concluded ATF Dubai Under-14 Tennis Tournament in Dubai, nine wins in eight matches. In the tournament held in Bahrain, they won all eight matches. Won nine out of ten of Asian tournaments held in Hyderabad.